The Fly Series by Space Copenhagen is a lounge collection made up of two sofas, an armchair, two tables and a pouf. Pushing the idea of lounging to its fullest, Fly is a series that allows the user to sit, lie, rest, and relax. Unlike many of the sofas and easy chairs in Scandinavian design history, Fly does not impose any particular posture onto the sitter. The seat itself is optimised for comfort, with loose cushions for the back that can be arranged according to the user’s own needs. 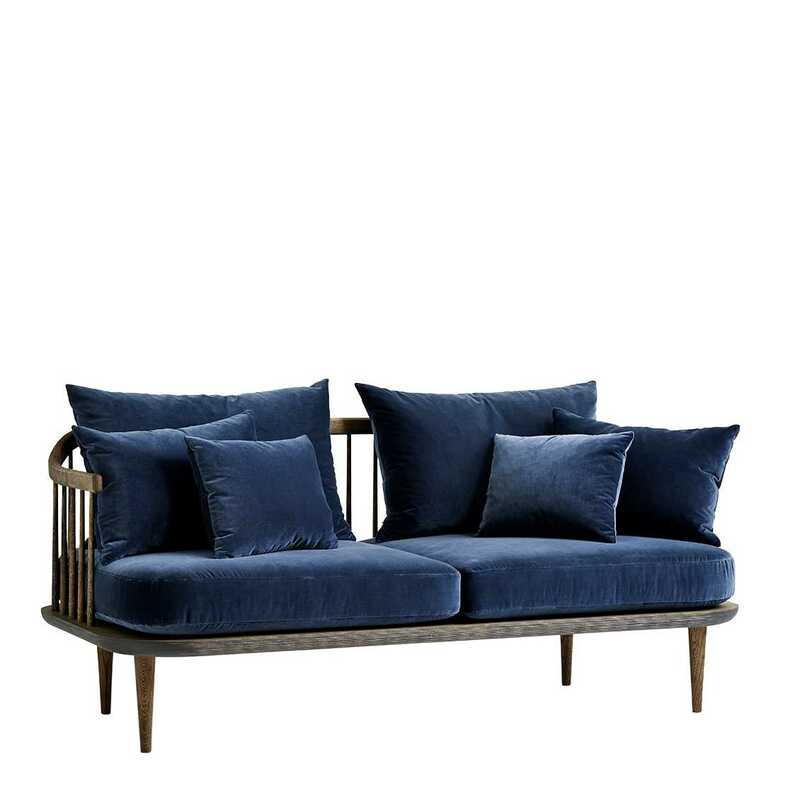 But Fly adheres to tradition in other respects; the frame of the sofa and armchair, with a slatted back rest, is made from solid oak, treated with white pigmented oil or smoked oil. It is the type of material and treatment that ages with true grace, only becoming more beautiful with time. Space Copenhagen gathers much of their inspiration from travels abroad, often in the form of ambience and mood. An example could be as simple as a particular wall in the streets of SoHo, New York, the distressed look of which makes its way into Space Copenhagen’s imagination. Established in 2010, &Tradition is a Danish design company that marries tradition with innovation. Our unique portfolio of furniture and lighting spans designs from the 1930s to the present day and includes interior objects by internationally acclaimed designers. "Space Copenhagen – established in 2005 by Signe Bindslev Henriksen and Peter Bundgaard Rützou, both graduated The Royal Danish Academy of Fine Arts, School of Architecture – is known for defying habits and employing a sincere personal vision to their design. The projects SPACE Copenhagen has turned their hands to include everything from interior design, to furniture and refined objects for everyday use as well as artistic installations and art direction. These diverse areas are especially reflective of their ability to transcend many roles and apply their emotional method of working to a number of projects or products. Interior design for some of the world’s most influential restaurants like the world’s best restaurant NOMA, Geranium, owned by Bóchuse D’or winner Rasmus Kofoed and newcomer Geist, run by Michelin star chef Bo Bech, are together with objects for Georg Jensen, Fredericia Furniture and Mater." Er ging iets mis. Is niet toegevoegd aan uw winkelwagen. Wilt u een andere uitvoering of heeft u vragen over dit product? Bel naar +31 (0)85 - 78 22 992 of neem contact op per e-mail.